0 items / Log in to view pricing. 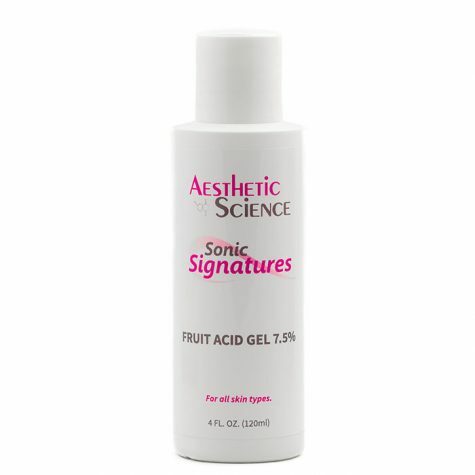 Fruit Acid Gel 7.5%	Log in to view pricing. Essential Lipids	Log in to view pricing. Log in to view pricing. To achieve soft, and hydrated skin, you need a light and gentle cream with excellent moisturizing capabilities. You require a cream that rejuvenates and conditions the skin to keep the skin feeling soft and smooth. 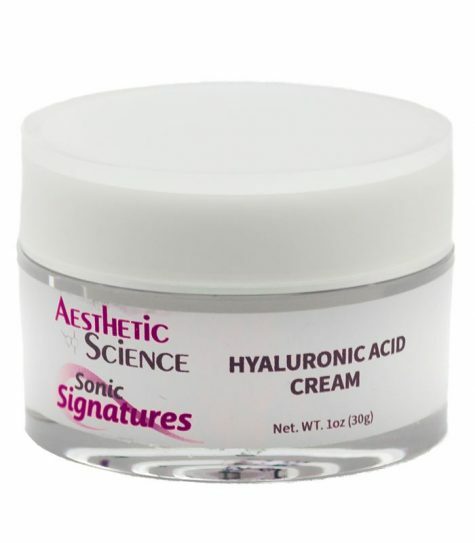 Aesthetic Science’s Hyaluronic Cream is a skin conditioning splendor, crafted with the ﬁnest skin moisturizing and natural compensating ingredients. Hyaluronic Acid, Squalane, Jojoba Oil and Apricot Oil all contribute toward a superior skin conditioning experience. These wonderful ingredients deliver crucial moisture back into the skin and encourage the growth of new collagen ﬁbers, to restore a more vibrant and youthful appearance. The skin has natural moisture retaining and conditioning components. One of the most important is Hyaluronic Acid. This natural substance is produced in abundance when you’re younger, keeping the skin hydrated and healthy. However, as you age the levels and regeneration of Hyaluronic Acid diminishes. Aesthetic Science’s Hyaluronic Cream delivers an abundance of Hyaluronic acid to your skin to compensate for the loss of natural Hyaluronic Acid levels. 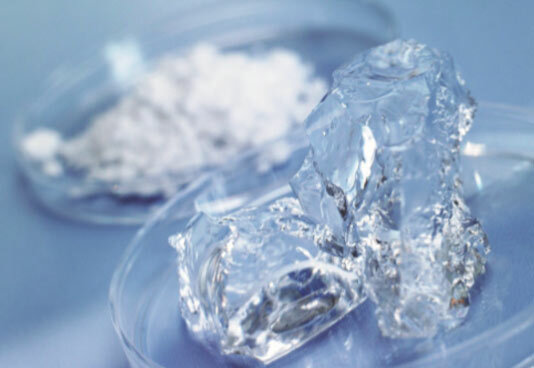 Hyaluronic acid acts like a sponge, soaking up moisture from the surrounding environment and retaining it in the skin. 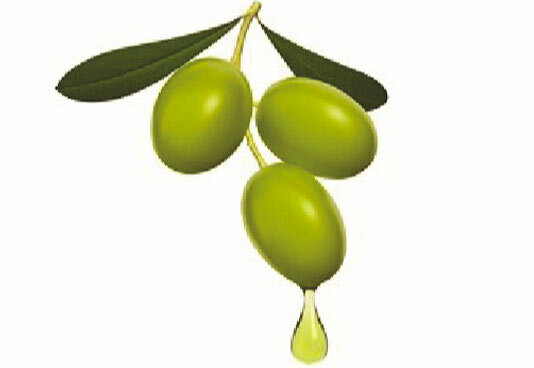 Squalane is a pure moisturizer derived from the very ﬁrst pressing of olives. It is a safe and soothing conditioner, excellent for smoothing out skin. It also delivers regenerative antioxidant and collagen stimulating properties. Thanks to its small molecular structure, it is absorbed easily into the skin. 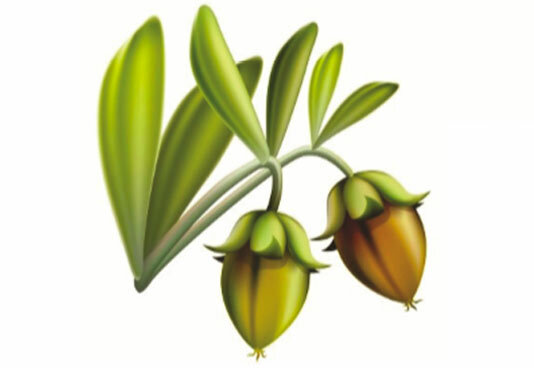 Jojoba Oil is derived from the seeds of the Jojoba plant. It is an extraordinary oil with a long chain ester similar to Squalane and human sebum. Thanks to this close afﬁnity, it has the remarkable ability to quickly absorb into the skin and provide incredible moisturizing properties. 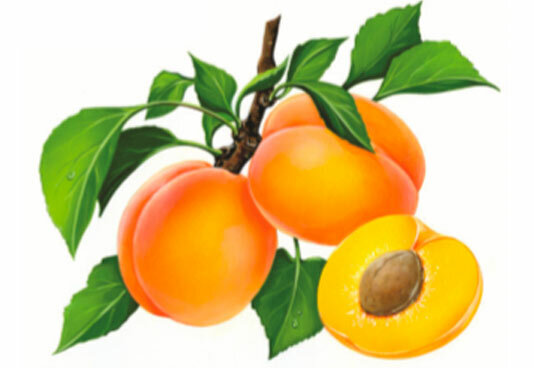 Apricot Oil is the ﬁxed oil expressed from the kernels of the apricot. It consists of glycerides and unsaturated fats, and is an excellent skinsoftening agent. All these moisturizing ingredients work together in one of the softest and delicate creams available. The smooth and comforting texture ensures that application is an easy and enjoyable experience. No other skin care treatment exists for all skin types and conditions without invasive surgery. EpiWave™ is the cutting-edge ultrasonic technology that utilizes low-frequency sound waves (ultrasound) in a three-stage process to repair the skin at a cellular level. The treatments are specifically designed for all skin types such as normal or aged, sun damaged skin, oily, clogged, problematic skin and highly sensitive Rosacea. The EpiWave™ is very different from cheap skin scrubbers on the market. The machine has many transducers that convert electrical energy to mechanical vibrations; think of a gear shift in a car. Ultrasonic treatments are anti-bacterial and anti-inflammatory and cannot damage the skin or cells. State-of-the-art chemistry & innovative ingredient engineering have dramatically improved the quality of moisturizing-induced, wrinkle reduction & skin smoothing treatments. 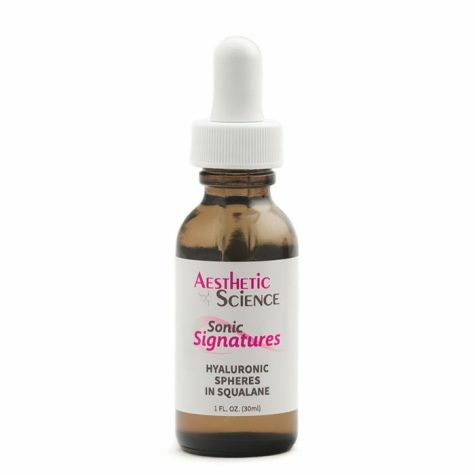 Aesthetic Science’s Hyaluronic Spheres in Squalane is a fine example of ingredient innovation. 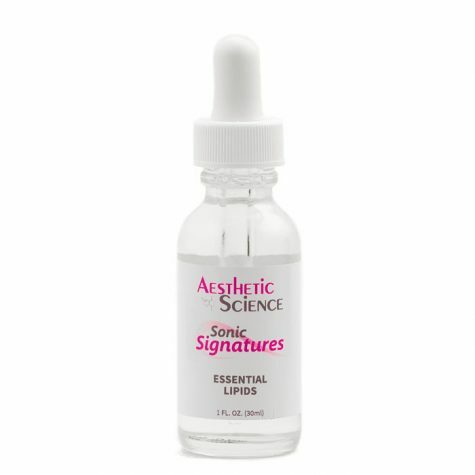 It uses novel dehydrated spheres of Hyaluronic Acid to deliver instant and gratifying moisturizing properties that help reduce the appearance of wrinkle and fine lines. Based in invigorating and moisturizing Squalane, the Hyaluronic Spheres fill the wrinkle gaps, draw in moisture, then swell and expand. This helps smooth out the skin and reduce wrinkle depth perception. 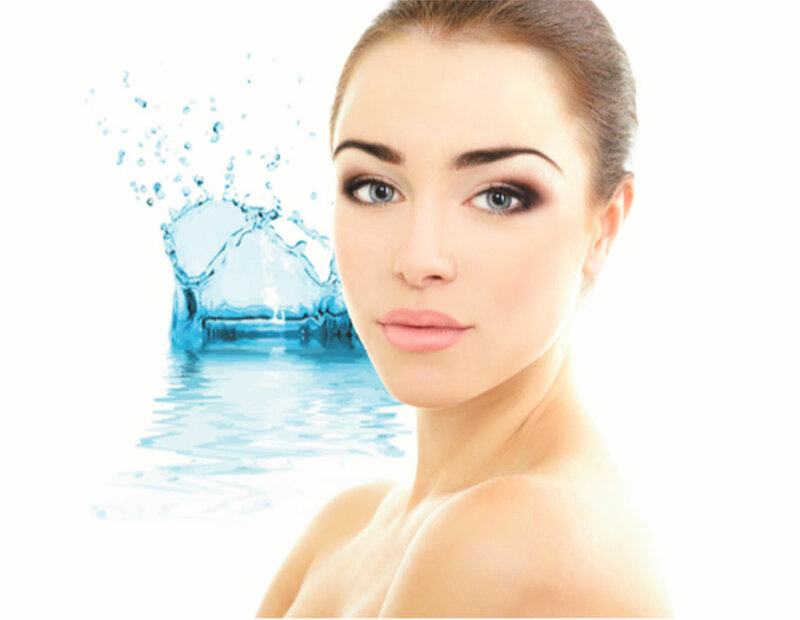 The moisturizing beneﬁts of Hyaluronic acid are well known. As a natural compound found throughout the body, its character and compatibility with the skin are unparalleled. It is one of nature’s great moisturizers. Hyaluronic acid takes in moisture from the surrounding air and uses it in various ways to protect and keep the skin well hydrated. By keeping the skin moisturized, it facilitates a healthy environment in which to naturally repair and regenerate damaged skin cells. 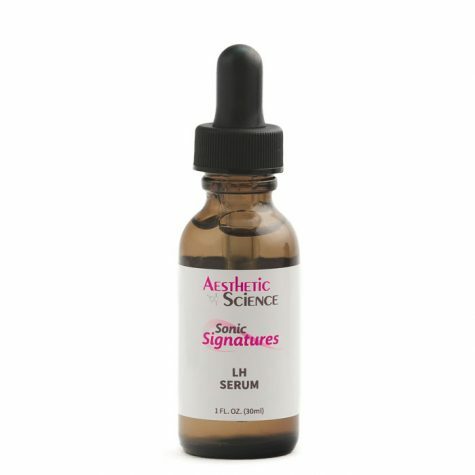 Aesthetic Science’s LH Serum 100% Hyaluronic combines two Hyaluronic molecules with different molecular weights Hyaluronic Acid: Low & High (LH) into one intense moisturizing serum that utilizes the unique characteristics and beneﬁts of these two types of Hyaluronic Acid. Keeping the skin hydrated and protected is integral to achieving a younger, healthier appearance. As the skin is the ﬁrst line of defense against external factors, it is important to keep moisture levels high and reinforce its protective and regenerative properties. 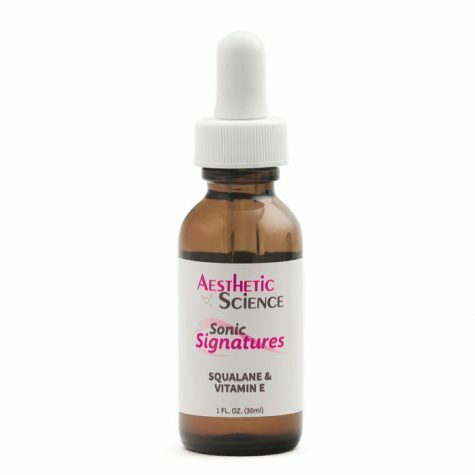 Aesthetic Science’s Squalane + Vitamin E is a powerful moisturizing and protecting formula. This resourceful treatment uses a combination of Squalane and Vitamin E to provide the necessary moisture and nutrients to protect, revive and reinvigorate the skin. Squalane is a pure and natural moisturizer. Vitamin E is a powerful antioxidant and skin-protecting nutrient, ensuring that any moisture and aging due to environmental factors is quickly recovered and restored. Formulated for a comfortable thin texture, this solution offers wide coverage. Customers gain sustained usage and extensive results, which greatly increases customer satisfaction and brand loyalty. Antioxidant ingredients are commonly used because of their attributes towards healthy skin and achieving a youthful appearance. The combination of various antioxidant actives, all interacting with each other on deeper levels, further enhances the free radical ﬁghting properties, thus creating a more dynamic and potent product. 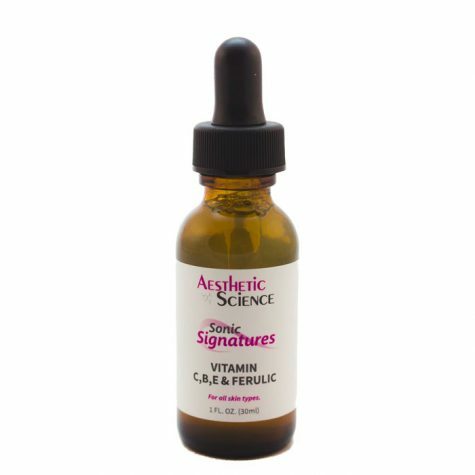 Aesthetic Science’s Vitamin C,B,E and Ferulic Serum is a comprehensive antioxidant super serum that takes advantage of each of the unique antioxidant delivery methods and chemical interactions to combat oxidative stress, and provide additional hydration and skin lightening beneﬁts. The scientiﬁc compatibility and enhancement that these selected ingredients provide, help combat oxidative stress on multiple levels, for a deeper more satisfying antioxidant treatment than any one ingredient on its own. Stay up to date on the latest Aesthetic Science Skincare news and education. A professional line of skincare products specifically designed for all skin types such as normal, aged, sun damaged, oily, clogged, problematic skin and Rosacea. 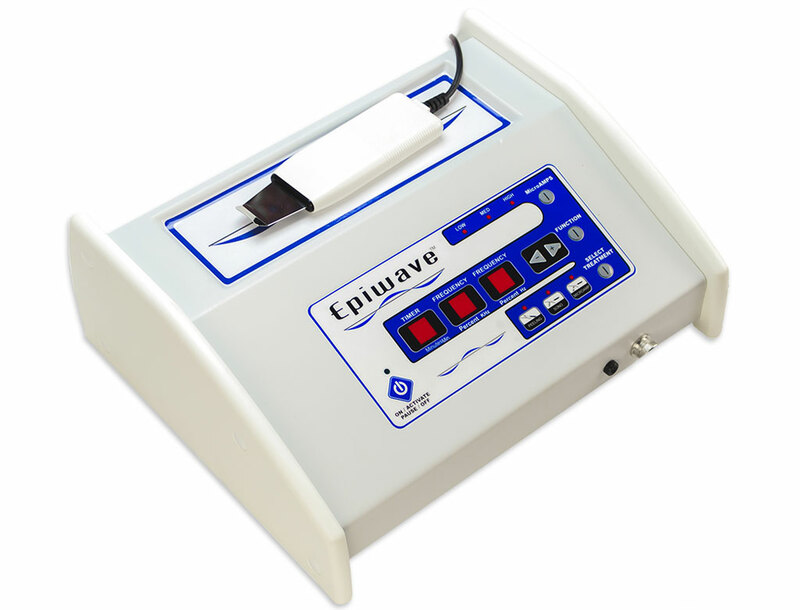 EpiWave™ Ultrasonic is a cutting-edge ultrasonic technology that utilizes low-frequency sound waves (ultrasound) in a three-stage process to repair the skin at a cellular level.